Home › Journal of Physics: Condensed Matter › How has the condensed matter landscape changed over the past 50 years? As you may have heard, the JPhys series is celebrating its 50th anniversary this year. Anniversaries are a good time to reminisce and we’ve been looking at the topics of papers from the first ever volume of J. Phys. C and comparing them with the topics covered by our most recent volume of JPCM (JPCM was formed in 1989 when J. Phys. C: Solid State Physics and J. Phys. F: Metal Physics merged). 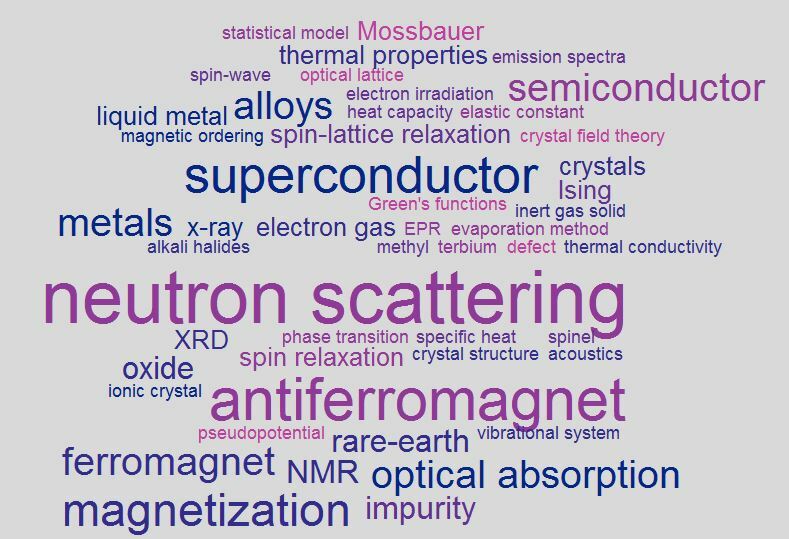 As you can see from the word clouds below, some things are very different, but many of the topics are as relevant, and well-studied, today as they were in 1968. The biggest change has obviously been the advance in computer technology allowing large-scale simulations. Computer methodologies such as density functional theory (DFT), molecular dynamics (MD) and Monte Carlo (MC) feature strongly in 2017 JPCM research papers. The journal now publishes a wealth of papers covering many aspects of nanostructures and 2d materials, and current “hot” materials such as Dirac/Weyl semimetals and dichalcogenides. 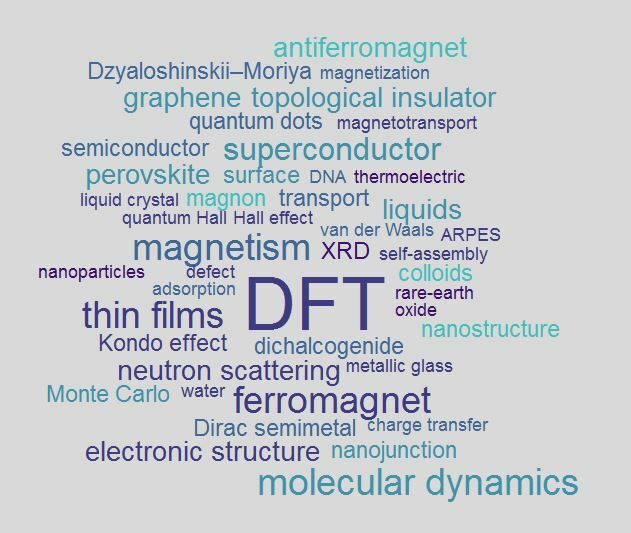 JPCM expanded its coverage over the years to include liquids, soft matter and biological physics, and the appearance of DNA, colloids, water and liquid crystals in the 2017 word cloud above shows that these topics are now considered at home in the condensed matter community. Magnetism is a topic that features heavily in both eras, and J. Phys. C and JPCM. The percentage of papers reporting use of neutron scattering isn’t quite as high as in 1968, but it is still the most common technique for experimental papers in JPCM. Research on superconductors and semiconductors has also been a core part of the journals from the beginning. Impressively we still have at least one author who published in the very first volume of J. Phys. C who is still publishing with us today. Find out more about changes in journal articles (number of articles, number of references etc) over the years in this JPhys+ post from 2015. ‹ How stable are topological properties in bismuth?